Sunday morning and time for the Sunday Scan. This is the cover for Fantastic Four #585 (2011) – art by Alan Davis with inking by Mark Farmer. Reed’s worst nightmare is Namor’s dream! 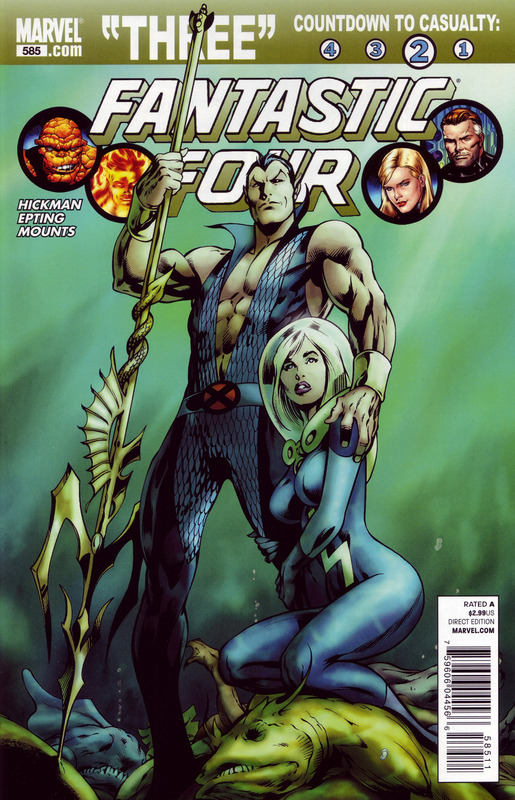 Long-time fans of the Fantastic Four know that Namor (the Sub-Mariner) has always wanted Susan Richards (the Invisible Woman) and Sue has always had a little “something-something” for Namor.